High shipping and handling costs are the number one reason customers abandon shopping carts. According to a study done by Business Insider, 58% of U.S. Online Shoppers cited that the reason for their cart abandonment was that shipping costs made the total purchase more than expected. Choosing the right shipping strategy or strategies is vital to your business success. Charging too little can hurt your profits while charging too much could make you less competitive and therefore less appealing to customers. Below we discuss some of the most common shipping strategies and the pros and cons to consider when deciding which one is right for your organization. Free Shipping with a minimum is a very common incentive for customers. One report showed 90 percent of customers will buy more with a free shipping offer, but one-third will not buy at all if it is not available. When using this shipping strategy, it is important to research how much your average order is and set the minimum accordingly. Pros: This shipping strategy can boost the value of average orders as customers may buy additional items to receive the discount. Cons: You are accepting the cost of shipping, which cuts into your margins. If one sets the minimum order too low, it will hurt profitability. Some merchants offer free shipping to only their most loyal customers. Rather than providing an incentive to increase the value of a single order, one is encouraging customers to reach an overall annual purchase value before giving away free shipping. Pros: This strategy limits exposure to losses from paying shipping costs. 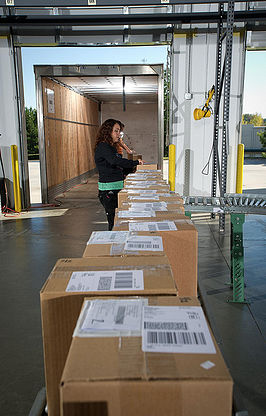 The customer pays regular shipping rates up to the annual threshold. Cons: Your customers may not find value in the program if they perceive initial shipping costs too high, or if your competition has a more aggressive free shipping offer. Flat rate shipping is where the customer pays a flat rate for every package or a flat rate based on weight ranges or order totals. 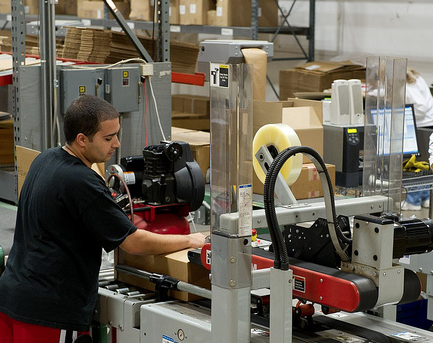 For example, a customer pays the same shipping and handling cost on all orders, whether it is $5, $50, or $500. This option typically is for standard shipping only, not expedited or overnight orders. Once again, you will want to do some research to understand your average cost of shipping a package, so you can determine a flat rate charge that will work for your company. Pros: Shipping isn't technically free, but customers still perceive it as a discount. This option can encourage customers to buy additional items since their shipping costs may not change. The flat-rate lessens the negative impact on margins and encourages larger orders. Cons: Flat rate shipping can discourage small orders. If a customer only wants a small amount or a single item, flat rate shipping can discourage a purchase if the fee is too high. Many shopping carts have the built-in capacity to calculate the actual cost to ship an item, more or less, in real-time based on the actual costs you pay. This option is excellent for small but expensive items, where shipping costs are minimal, such as jewelry. Pros: One builds trust with customers because they can see you are not inflating the shipping and handling costs. Cons: Customers can abandon their shopping cart on checkout. Calculating shipping is typically done at checkout, and price shock can discourage completing the transaction. Offering free shipping on returns is extremely attractive to customers, especially when buying apparel from ecommerce companies. Clothing sizes vary slightly from designer to designer. Customers need to feel comfortable they can easily return items that don't fit or don't quite look like the picture. Pros: Customers feel valued, and believe their satisfaction is a priority. Having a simple and easy return policy promotes customer loyalty. Cons: High rates of returns can negatively affect profits. Careful consideration and testing, before offering free return shipping, is highly recommended. Free Shipping on All Orders: This option works best with lightweight items and large margins, or if one adds the shipping cost into the price of items. We do not recommend using the latter however, as some customers will catch on and lose trust in your company. Free Shipping of Some Items: One can target which items receive free shipping and which do not. The benefit is targeting the offer to high margin items, and additional items with shipping fees can offset costs. Timed Free Shipping: Retailers can provide free shipping as a limited-time offer, in the weeks leading up to specific holidays or over a weekend to boost sales. Membership Programs: Customers pay an annual fee in order to receive free shipping on some or all items during the year. Customers perceive value, but you receive revenue long before providing shipping. As an online retailer, it can be difficult choosing the right shipping strategy. Every company is different and only you can decide what strategy is right for your business. Understanding your order history, customer needs and competition is key to implementing the right shipping options. Partnering with a fulfillment provider that can pass on freight discounts by pooling shipping volumes of multiple clients can help with the financial burden that comes with some of the more popular shipping strategies. For more information on how PBD Worldwide can help reduce your shipping costs or on choosing the right shipping strategy, please contact us.